Looking for an easy-to-use garden design software? 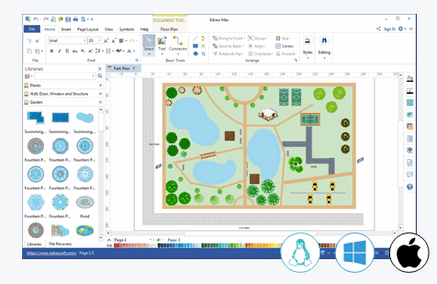 Edraw is an ideal solution to help design and plan gardens and other landscapes such as seating plan, emergency plan on Mac, Windows, or Linux. 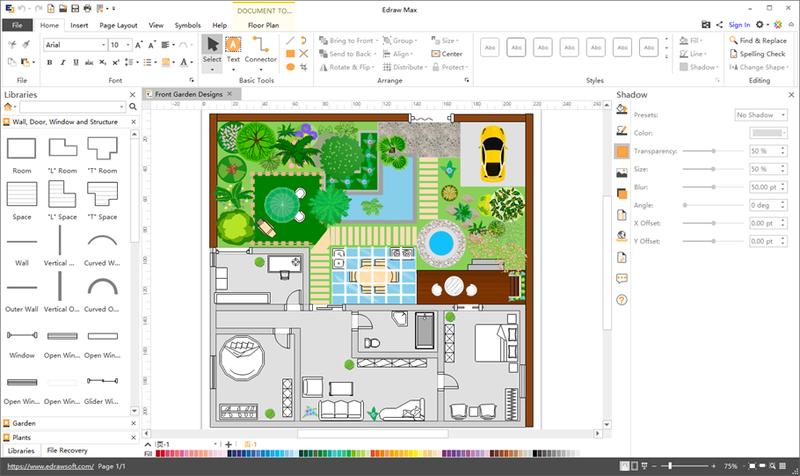 Edraw is an all-in-one garden design software for users to create garden plans on Mac, Windows, Linux in more convenient way. No matter what system or browser you use, enjoy the fluid diagramming and intuitive viewing experience of our software. 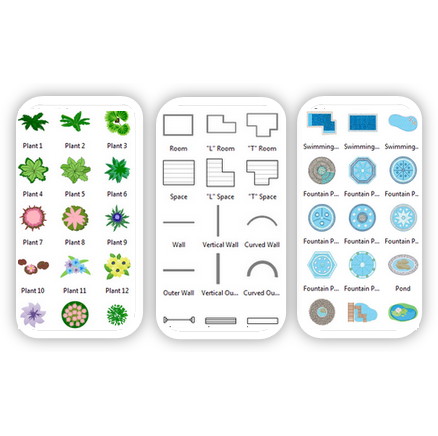 A variety of pre-drawn vector garden design symbols like pavilion, umbrella, lawn, rock garden, stone road, stone, flower and stone, wood fence, wood gate, wood post, etc are available in the program. All symbols are customizable, you can personalize the symbols or create custom symbols on your own. An extensive collection of garden design templates from basic to complex layouts for parks, etc make you design accurate and attractive garden plans with ease. The templates are free and editable, just give your garden plan a finished look by adding color, texture and gradients by simply pointing and clicking. For large-scale garden design, diagramming in the cloud means getting feedback and updates from colleagues in real-time. 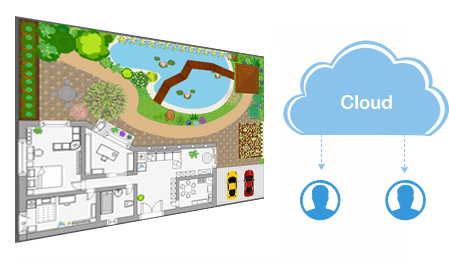 Edraw Garden Design Tool offers Cloud storage for effective team collaboration, thus team members can save, view, or edit it anytime and anywhere. Your Ultimate Garden Design Software! 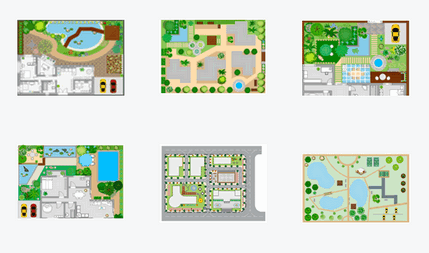 Enjoy designing garden plans on Mac, PC and Linux with this simple software. You'll be surprised by its smart templates, amazed by how easy it works, and satisfied with the service and price. Try it today!